For investors, there are many benefits to trading a stock market index rather than a number of individual stocks. Not only does investing in stock indices take out the stress of looking for individual stocks, it helps diversify your portfolio, reduce risk, and can help you generate strong returns. A stock index tracks either the broader market or a smaller sample. For example, the NASDAQ has more than 1,300 listed companies; the NYSE contains some 2,800 companies. Some are blue chip; others are high-growth. The Dow Jones Industrial Average is made up of just 30 industrial companies. The S&P 500, on the other hand, includes 500 of the biggest companies in the U.S.
A broad-based index includes all of the stocks listed on a particular exchange. A narrow-based index is limited to a small number of equities. Narrow doesn’t mean small. The Dow Jones Industrial Average is made up of 30 industrial stocks that represent nearly half of the total value of all U.S. companies listed on public exchanges. While buying and selling a single stock helps you benefit from the individual trend, trading a stock index allows you to profit from an overall market trend. This means that the risk is diversified. It also means profit gains are going to be limited to the overall movement of the particular stock index. That’s because an individual stock will fluctuate in price much more drastically than the broader market does. 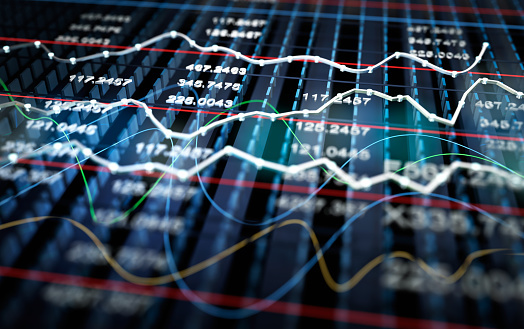 For many traders, stock index trading is the best way to diversify your portfolio. Besides diversification and risk management, there are many benefits to trading stock indices. Futures are highly leveraged. You may only need to put up 10% of the value of the contract. What that means is, you can trade a larger amount of the underlying index than if you bought it outright. Trading stock indices is popular. But you do not trade an index like you do an individual stock. Stock index trading is actually futures and options that track a specific broad- or narrow-based index. You can trade stock market indices futures the same way you would other futures contracts. When you take a long position, you are buying the index at a fixed price now for expiry at a set date in the future. Taking a short position means you are selling the index at a fixed price now with an expiry on a set date in the future. Many new investors shy away from trading stock indices because of the uncertainty and speculative nature of options and futures. By learning how to read the broader market, though, investors can learn how to make solid profits; whether the underlying index is going up, down, sideways, or is volatile. That’s because, just like individual stocks, there are a number of different stock market index strategies you can employ to take advantage of market conditions. But it takes a lot of skill to be a successful futures or options trader. Without understanding how to read the broader markets and learning different techniques, stock market index trading can be confusing. Studying stock market index trading in Toronto from the professionals at Learn-To-Trade.com can teach you how to track market trends and news, conduct thorough due diligence, and follow a disciplined trading approach. As the leading and oldest provider of stock market training courses in Canada, Learn-To-Trade.com is led by licensed, industry professionals. Its extensive understanding of stock market index, futures, and options trading will provide you with the knowledge you need to create an informed, disciplined approach to the financial markets. For more information on Learn-To-Trade.com, our stock market trading course and Lifetime Membership, visit the company’s web site at www.Learn-To-Trade.com. Or, you can contact us by phone at 416-510-5560, or by e-mail at info@learn-to-trade.com.